Those who’ve had the privilege to know Hank Umemoto know that he can be quirky, crass and brutally honest. His memoir, “Manzanar to Mount Whitney: The Life and Times of a Lost Hiker,” feels like a sanitized version of his personality. Most likely editors cleaned up some of his language, making the book a PG-rated version of his life. That’s not to say the memoir isn’t entertaining. Unlike most memoirs, which read like a resume with a lot of name-dropping and highlights of certain accomplishments, Umemoto’s book isn’t afraid to delve into his fears, failures and foibles. In Umemoto-fashion, the memoir begins with a very polite “go f*** yourself” letter to the United States government. From there, the reader is taken on a dual journey of Umemoto’s life and his adventures as a hiker. Umemoto was born in 1928 in Florin, Calif. His parents were from Wakayama Prefecture, and Umemoto recounts a humorous incident where his father dumped his first bride-to-be in Wakayama in 1889 when he found her doing tachi-shoben (standing and peeing). Umemoto vowed, then, that he’d climb Mount Whitney one day. But after Umemoto’s release from Manzanar, he had to make a living. He worked and lived on Los Angeles’ Skid Row for a few years, served in the military during the Korean War, attended college, got married, had children, and before he knew it, Umemoto was in his 60s. 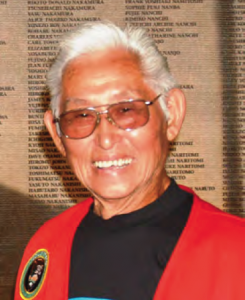 The most problematic portion of Umemoto’s memoir relates to his two older brothers, Ben and Sam, and his sister, Miharu and her husband Yosh — all of whom ended up at the Tule Lake Segregation Center. Umemoto writes as if merely answering “no-no” to Questions 27 and 28 on the controversial loyalty questionnaire got people deported to Japan. Taking this stand on the questionnaire was not enough grounds for the U.S. government to deport American citizens to Japan. Unless a U.S. citizen renounced his/her U.S. citizenship, the government could not send Japanese American prisoners to a Department of Justice camp such as Fort Lincoln in Bismarck, North Dakota, where Umemoto’s brothers ended up, nor could the government deport them to Japan, where Umemoto’s brothers, sister and her husband ended up. Perhaps Umemoto framed this portion of his family’s history in this way because discussing Tule Lake and renunciation is such a taboo subject in the Nikkei community. Those who are ignorant of Tule Lake’s history are quick to paint all “no-nos” and renunciants as “disloyal” Americans, a piece of propaganda perpetuated by the government and the Japanese American Citizens League. It is a shame that Umemoto didn’t use this as a teachable moment to share about the anger and constitutional justification renunciants had in renouncing their citizenship from a government that had been disloyal to them. Another minor correction in Umemoto’s memoir is his reference to the African American enclave that developed in Little Tokyo during the war. The African American community named the area Bronzeville, not Bronze Town, and they even had a Bronzevillle Chamber of Commerce. Excluding Umemoto’s weak spot regarding Tule Lake, his memoir is entertaining and refreshing. He’s the closest writer in Niseidom to write like Charles Bukowski, whose life was portrayed in the movie “Bar Fly.” In fact, the memoir has potential to be expanded if all the R-rated and X-rated stuff is included (and we know, Hank, you have plenty of those stories).